Excellent post and I couldn’t agree more with your words. Also, as sad as it is, one must realize that racism and the N word is still common in many homes throughout this country, or in general attitudes in society. Perhaps changing this word is just another way of denying our past and our present – a way of “cleaning up the art” so it looks better on the pages of history and allows us to pretend that racism is a thing of the past. Thanks for a great read on a controversial topic. This is simply a bad idea. What happens next? I guess they’ll be taking the same word out of To Kill a Mocking Bird, and censoring the violence of The Things They Carried and Lord of the Flies. That particular word is degrading, yes. 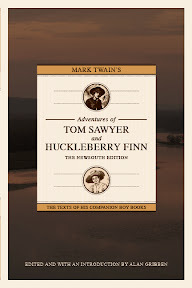 And part of Huck Finn deals with Tom’s status as something subhuman in society’s eye. 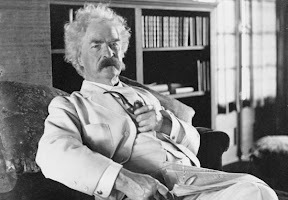 To have any other word than what Twain wrote would be a crime against Twain’s legacy and against the text itself. It may, as Gribben says is the reasoning behind this choice, help keep Huck Finn in classrooms and help retain its status as a classic, but what’s the point if it dilutes the book? Anyone who believes that literature is capable of more than just entertainment, capable of playing a role in shaping our society by challenging popular notions and presenting the dark and unflattering truths of humanity should take a stand against this movement lest we find the books of our age whitewashed, and our words mangled by generations down the line for the sake of being politically acceptable.